The MAC 6000 is completely self-contained and offers 86% heat efficiency, the highest in the industry. The low pressure system protects operators in the event a hose is punctured. The unique mixing system provides a consistent outlet temperature and max flow rate in the market today. MAC, Inc. is the global leader in the manufacturing and supply of industrial and commercial air heaters. Our portable air heaters are engineered to withstand the harshest cold weather environments, providing reliable heat when you need it the most. 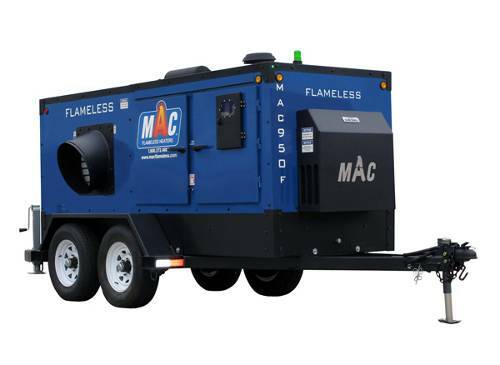 With over 30 years of experience in the heating industry, MAC, Inc. is constantly innovating to create exciting new products that give your company an edge over the elements and your competitors.